For the duration of this cycling holiday you will reside at Het Rechthuis Hotel in the village of Muiderberg. Find peace and tranquillity in this lovely area nestled in between Het Gooi nature reserve and the Vecht Region boasting lakes and the meandering River Vecht. Within cycling distance you will discover the star-shaped fortifications of the town of Naarden, as well as Muiden Castle and Naarden Lake. Surrounded by two areas of woodland, the village has a countryside-feel to it although in actual fact it is quite central, near to Amsterdam and Almere. 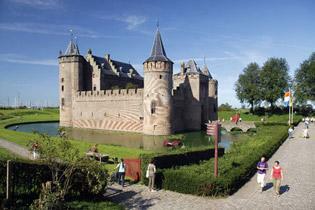 It is in an ideal location for cyclists to make several interesting day trips. 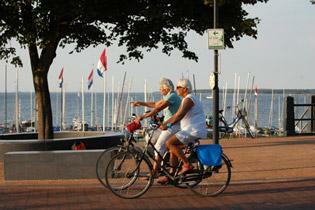 During your stay, you can choose from a number of different bicycle routes. It’s up to you to decide where you want to go and how far you want to cycle.